Test for sleep apnea privately in your own home with our Home Sleep Apnea Test. Easy to use and accurate, The test includes equipment to replace all the sensors and tubes attached to you during a sleep study in a sleep lab while providing accurate and useful results. Having trouble sleeping? Do you wake up in the morning and still feel tired? You may have Obstructive Sleep Apnea (OSA). Now, you can test for Sleep Apnea privately and conveniently in your own home with our Home Sleep Apnea Screening. 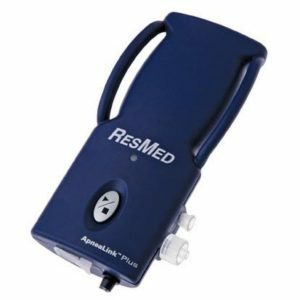 Easy to use and accurate, the ApneaLink Plus by ResMed is a Type III, Medicare approved diagnostic testing device. It collects information related to how much and how well you breathe at night. 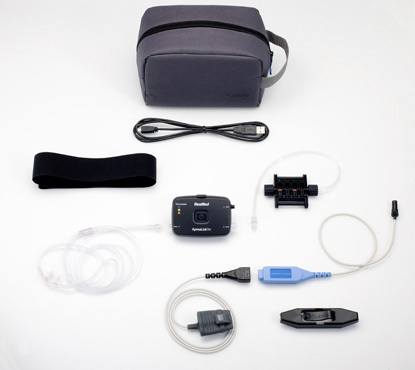 After you have completed the test, the equipment must be returned to CPAP America to interpret the results.